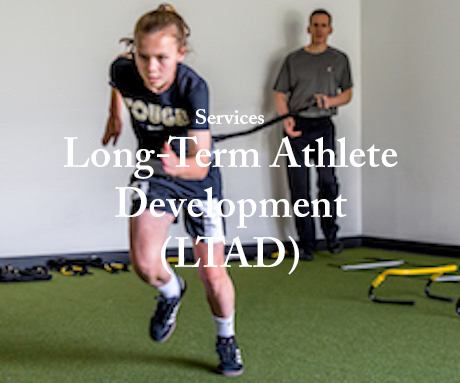 Long-Term Athlete Development (LTAD) is the smarter and healthier way to set athletes on the path for success. We focus on developing the athlete first, followed by sport-specific attributes in a progressive and effective manner. Using this approach for our players enables us to focus on each individual, introducing the right things at the right time. 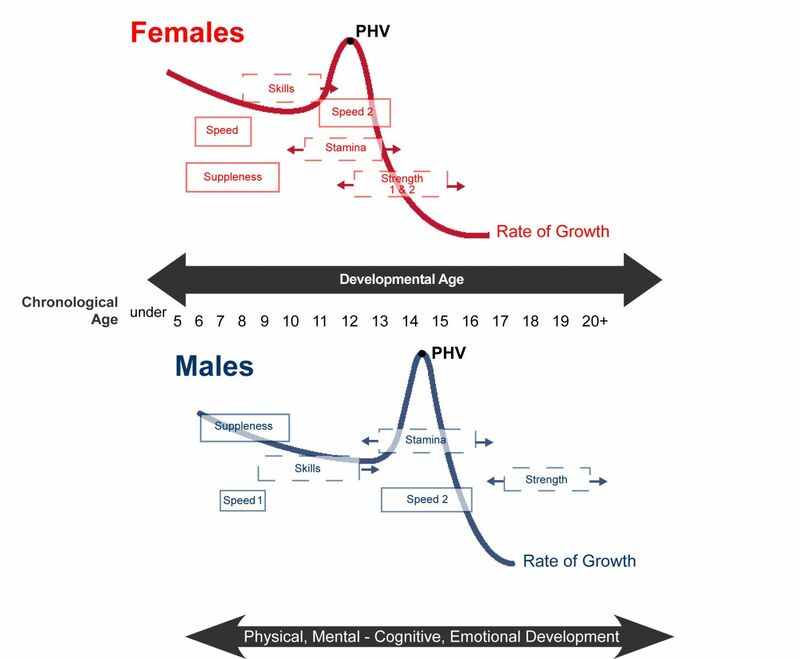 By taking into consideration an athlete’s biological age verses chronological age, for example, we’re able to identify the key windows when he/she should be training for speed and agility, emphasize the fundamentals and address any needs necessary along what we call the Functional Continuum. For those not familiar, Long Term Athlete Development is applicable for both recreational and professional players and is beneficial for all ages. Simply put, athletes require different motor patterns introduced in their lives in order for their bodies to efficiently and successfully perform. It’s common knowledge that well-rounded multi-sport athletes have an advantage. Ask a Division 1 coach if he or she would prefer a one-sport athlete or a multi-sport athlete that can effectively adjust to different positions easier. The reason being is that their bodies are developed to have more physical literacy to sustain what is being asked of them. In addition to physical preparedness, players must also be ready for the mental challenges. The ability to maintain high levels of concentration, yet remain relaxed with the confidence to succeed, is a skill essential to long-term performance in sport — not to mention, transcend sport and affect everyday life. To develop the mental toughness for success at highest levels, training programs are required that address the specific gender and LTAD stage of players. When you or your growing athlete are ready to put a plan into action for dreams to become reality, we encourage you to give us a try. The result could be light years ahead of the competition. The best part? You don’t have to have it all figured out. With LTAD in place, when the time comes to specialize, the infrastructure will already be rock solid — ready to support the load it will need to sustain. Best understood by breaking the LTAD model into seven easy stages, we’ve included a brief description and a link for more information. Please feel free to click through and reach out to us for more information as it pertains to you and any players in your household. At this stage, the most important factor for children ages 0-6 is to develop the ABCs of movement — agility, balance, coordination and speed — all of which is best accomplished through unstructured active play. Introducing fundamental movement skills is the beginning ground for providing the foundation for fundamental sport skills. Together they form the basis of physical literacy. Click here for detailed information on Stage 1. The focus, during the FUNdamental stage, should be for children to participate in a variety of fun, well-structured activities. Doing so will help early elementary age kids continue their development of the ABCs — Agility, Balance, Coordination and Speed. Click here for detailed information on Stage 2. At this stage in LTAD, children should now be converting their fundamental movement skills (such as running, jumping, skating and throwing) into sport skills. Considered “The Golden Age of Learning” for specific sport skills, the Learn to Train phase emphasizes the continuation of general sports skills suitable to a number of activities as opposed to excessive single sport training or early position specialization in team sports. Premature specialization often backfires in later stages of an athlete’s life as it can lead to one-sided development and raises the risk of injury and burnout. This stage makes or breaks an athlete. The ages that define this Train to Train stage are based on the approximate onset and end of the adolescent growth spurt. Young players need to build an aerobic base and consolidate their sport-specific skills and tactics. Increased training hours are needed to develop each athlete’s long-term potential. While many might exhibit special talent, play to win, and do their best, the need to allocate more time to training skills and physical capacities over competition in formal settings is paramount. Finally, in this stage, your player will choose one sport in which to excel. Training focus is now on solidifying sport-specific and position-specific skills in addition to all of their physical capacities. At the Train to Compete stage of LTAD, competition becomes serious. Athletes are aiming to compete in national and international events, choosing to specialize in one sport and excelling at the highest level possible. To make this happen, we recommend athletes committing to high-volume and high-intensity training throughout the year, integrating key elements like nutrition, sport psychology and recovery as well as the prevention and management of injury. These athletes have recognized talent and have chosen an elite pathway that few others pursue. ** Under construction... Coming soon! 1) After they have developed physical literacy by the end of the Learn to Train stage and chosen to pursue sport and physical activity. 2) After they have exited the LTAD high-performance training and competition stream (Train to Train, Train to Compete, and Train to Win stages).